It is located at the upper southern gallery. 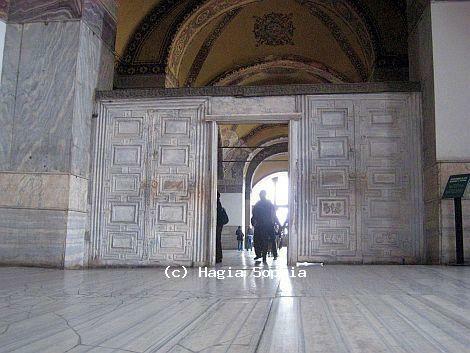 It is probably removed from another Hellenistic building and was brought to Hagia Sophia. The marble door was used by synod members to enter and exit to the meeting chamber.